The data cable is 5 feet long. 1 x 5ft Micro USB Cable. Samsung Galaxy S3. Samsung Galaxy S4. Samsung Galaxy S5. Samsung Galaxy S6. Samsung Galaxy S6 Edge. Samsung Galaxy S3 Edge Plus. 5ft Micro USB Data Cable. -Authentic Samsung product for those who prefer authentic accessories. Experience has taught us that "used original" accessories are far better than "new generic". But original accessories are hard to find in a market flooded with generics so we did done the hard work for you. Length: 5ft. 1 x 5ft Micro USB Cable. 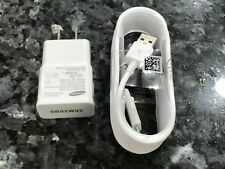 For Samsung Galaxy tab 4 7.0 8.0. For Samsung Galaxy tab A 7.0 8.0. Micro USB Data Cable. High speed data syncing. Also note that monitor settings may vary from computer to computer and may distort actual colors. Universal for all Samsung Galaxy tab ( 2 / Plus ) 7.0", 7.7", 8.9", 10.1" series tablet and 10.1" Galaxy Note. note, and use the Note all while charging at high speeds. 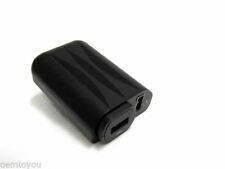 This can be inserted the wall outlet adapter for high-speed charging also. Made in slovakia. Manufactured by Samsung. Color White. Samsung Galaxy Tab A 7.0 / Samsung Galaxy Tab A 8.0 / Samsung Galaxy Tab A 9.7 / Samsung Galaxy Tab A 9.7 & S PEN Version / Samsung Galaxy Tab A 10.1 /. Samsung Galaxy Tab A 10.1 & S PEN Version. 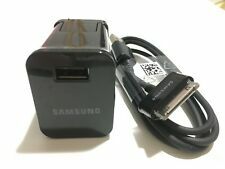 Galaxy Tab A 10.1 2019 Edition is NOT using this cable . Universal for all Samsung Galaxy tab / tab 2 7.0", 7.7", 8.0", 8.9", 10.1" series tablet and 8.0", 10.1" Note (You can kindly check the cable head) Galaxy Tab 7.0" P1000 P1010. 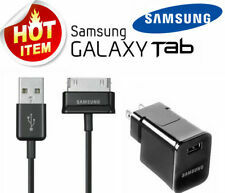 Samsung Glaxay Tab & Tab 2 USB 30 Pins Cable. 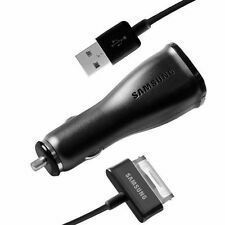 2X OEM Genuine USB Sync Data Cable for Samsung Galaxy Tab 2 7.0 10.1 GT-P7100. Galaxy Tab 7.0 SGH-i987 (AT&T). Galaxy Tab 7.0 SCH-i800 (Verizon). Galaxy Tab 7.0 SPH-P100 (Sprint). Galaxy Tab 7.0 Plus GT-P6210. 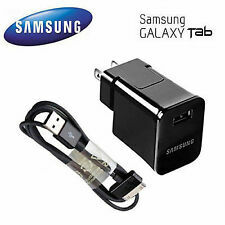 Samsung's quick charging technology allows you to use your Tab while it is charging. 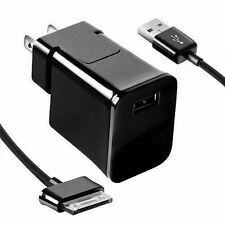 Includes detachable Data USB to micro USB Cable. COMPATIBLE WITH ALL GALAXY TABLET MODELS.